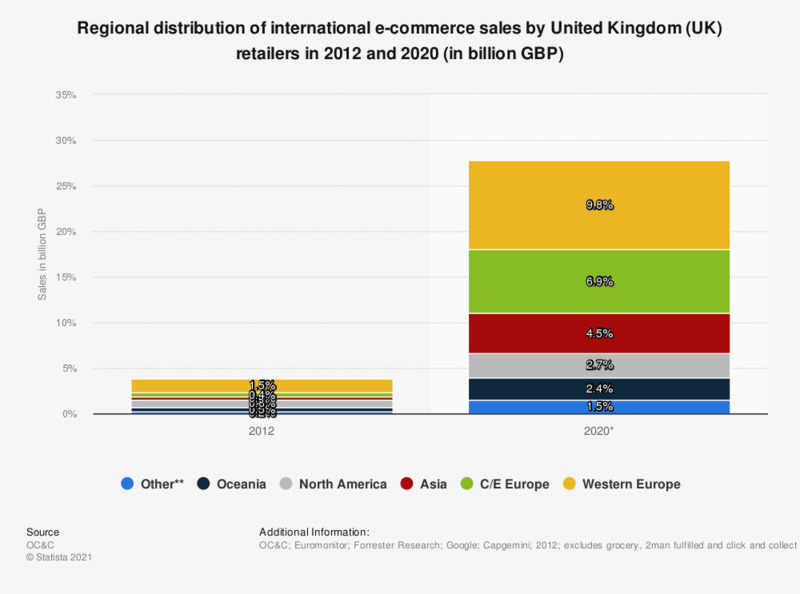 This statistic displays the regional distribution of international e-commerce sales of UK retailers in 2012, and a forecast of 2020. In 2020, e-commerce sales to Europe are forecast to reach 9.8 billion British pounds. excludes grocery, 2man fulfilled and click and collect orders. ** Includes South America, Middle East and Africa.